Streaming TV startup Ivi.tv has tried to build a business on re-broadcasting TV content online, raising the ire of several big broadcasters who took it to court, hoping to shut down its streams. Well, Hon. Naomi Rice Buchwald, U.S. district judge for the Southern District of New York, is siding with those broadcasters. The judge has issued a preliminary injunction against Ivi.tv, ruling its practice of retransmitting broadcast TV signals without copyright owners’ consent was not protected by a 70s-era copyright loophole, mainly because the startup doesn’t qualify as a cable system. Ivi offered a streaming service to U.S. viewers that allowed them to watch broadcast TV content on their computers by downloading a desktop application and paying a $4.99 a month subscription fee. The startup claimed it could rebroadcast local TV feeds online as part of a loophole in the U.S. Copyright Act so long as it paid semi-annual fees to the U.S. Copyright Office. But more than 40 big broadcasters — including ABC, (s DIS) CBS, (s CBS) Fox, (s NWS) NBC (s CMCSA) and Telemundo — were unhappy that Ivi was rebroadcasting their local TV feeds without offering retransmission consent, and took the startup to court to shut down the service. Because the court found Ivi.tv was clearly in violation of broadcasters’ copyrights, it issued a preliminary injunction against the company, ordering it to cease infringing those rights by streaming broadcast TV over the Internet or on any mobile devices. 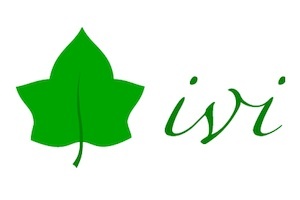 That’s a big blow to Ivi.tv and to its subscribers, and could spell the end for the company. Ivi.tv issued a statement, telling customers that it will appeal the decision, but that it will be shutting down most of its broadcast offerings in the interim. As a result, the company will suspend invoicing for existing customers until channels can be restored. I’m not sure why anyone is following this story. Companies have been trying to get away with doing this exact same thing for over 10 years. They all have different excuses that lets them do this, of course. Calling yourself a “cable” system is pretty disingenuous since they don’t fit any conceivable definition of a cable provider. Or an IPTV provider. Sounds like ivi is run by lawyers, rather than engineers. Thanks goodness that Big TV is protecting us from dangerous companies like ivi, with their so-called ‘convenience’ and ‘good user experience’. Those Big TV execs sure have our backs!